Since Vista,Windows Defender is included with Windows . It’s a small piece of software that runs in the background to help protect ,your computer from malware (malicious software) like viruses, spyware, and other potentially unwanted software. Some spyware protection is better than none, and it’s built in and free! But… if you are already running something that provides great anti-malware protection, defender will probably wasting precious resources , there’s no need to have more than one application running at a time. The problem with all Defender versions in Windows Vista and above is it’s integrated into the operating system and installs by default with no visible or hidden option to uninstall. 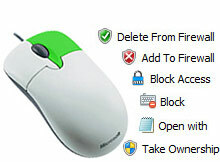 Many people are looking for ways to disable or remove it from their system as they prefer to use other software , for example on Windows 8 and 10 you cannot turn off Windows Defender completely anymore , A click on Settings in Windows Defender opens the control panel for the program in the new Windows Settings application. You can turn the program’s real-time protection off temporarily, but if it’s off for a while Windows will turn it back on automatically. It is unclear why Microsoft made the decision to change the behavior of Windows Defender in this regard. What is certain however is that it will annoy users who want to disable it permanently on the computer they are working on. Defender Control is a small Portable freeware which will allow you to disable Windows Defender in Windows 10 completely. 4. If you’ve got it enabled, chances are Windows Defender will start each time you boot your PC . If you’re short on resources, have your own methods of dealing with spyware or have simply come to the conclusion that Windows Defender is not for you then you might want to disable it. NOTE: Sometimes program may need to wait 3-5 second to turn windows defender on or Off and you may see the Orange interface during this period. Supported Operating Systems: Windows 10 , Windows 8.1 , Windows 8 , Windows 7 , Windows Vista (32 and 64-bit). Yes, it works , this Application is not relevant with gpedit. Does it work on win10home? Couse of gpedit not available in home edition. Will this work on Windows 10 Home 1803? can you send me code source of this program? Elinize sağlık. Türkçe dil desteği ekleyebilir misiniz? I wish to convey my Heartiest thanks to the Author for making me part ways with the Win Defender, Cortana & Edge all at the same time, at one go! Iam quite happy & quite relieved after using this great tiny utility. No I haven’t used your program as of yet because I intend to rather completely remove Windows Defender from my PC . Kindly suggest on how to accomplish the same? Please suggest some method to rather completely remove Windows Defender from Win 10? Defender Control v1.2 works on Windows 10 Creator Update 1709 perfectly , we are testing our software on all new windows versions. can Windows 10 Creator Update 1709 work? Thank you for your response as well! 71 queries in 0.221 seconds.